PLEASE NOTE: Kauhale Makai is undergoing exterior building maintenance. One Bedroom Ocean View Condo at the Kauhale Makai. The fully equipped kitchen has been remodeled and features an island with bar stools. The large dining area sits four people. The bedroom has a queen bed and the living room has a pull out sofa bed, allowing the unit to sleep up to 4 people. 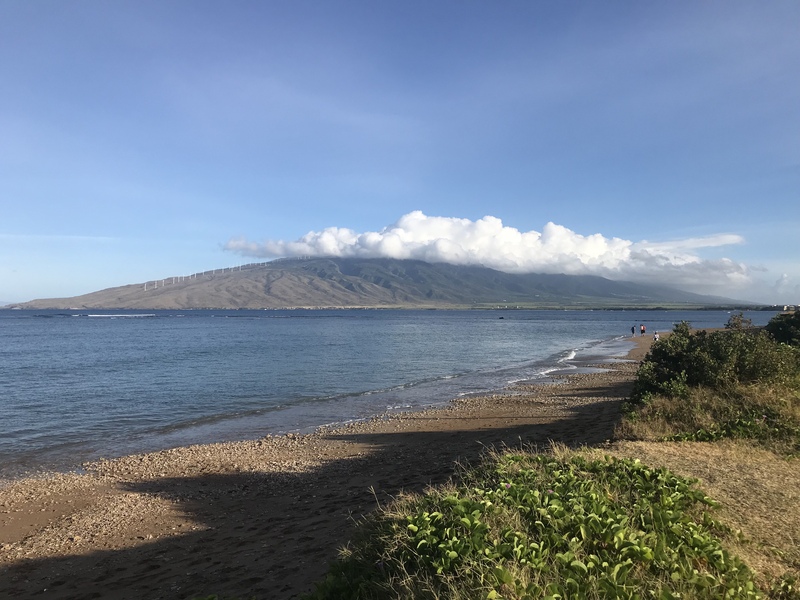 Kauhale Makai, also known as Village by the Sea, is an Ocean front property located in Central Maui. There is a long stretch of beach spanning across the front of this property. The beach is perfect for morning or evening strolls, and it is a popular windsurf destination. There is also a large lawn area which is great for taking a walk or a nice place for the kids to play. The property is made up of two buildings, a putting green, shuffle board and pool area. The pool area has a large main pool, a kids pool and a hottub. There are coin operated laundry facilities on every other floor, near the elevator. Kauhale Makai is a centrally located property, with many shopping a dining options a short drive away. There are three grocery store within a 5 minute drive. You can easily venture further South, head to West Maui, or adventure to upcountry. Plan a whole day to take the road to Hana, an adventure you will never forget. Enjoy your Piece of Paradise here at the Kauhale Makai, Village by the Sea.